Kermans Flooring - a premier Indianapolis Flooring store - gives away a full size area rug each month, valued at up to $1,700. Our store selected another lucky recipient for November: Laurel Page from Indianapolis, Indiana. Laurel's name was randomly pulled from our in-store fishbowl of entries. 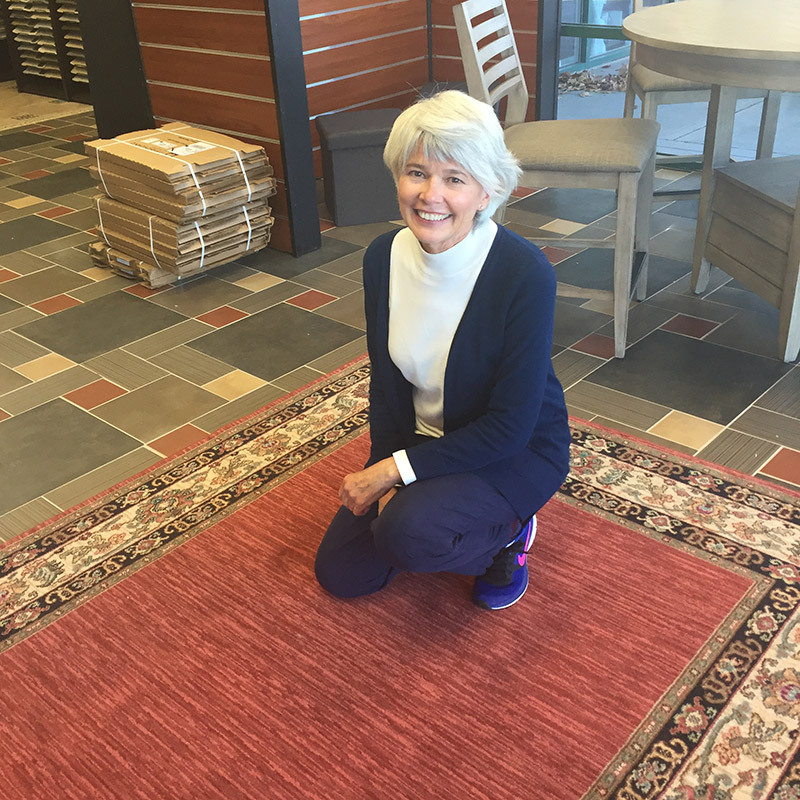 For her winning rug, she selected a red design with a patterned border.